Crystals are powerful metaphysical tools for expanding, balancing, restoring, and activating the subtle energy vibration flow of our chakras, subtle bodies, and meridians; and to activate our sleeping talent and capacities. Their stable light frequencies perfectly match with our personal ones, generating harmonic resonances deeply penetrating into the various levels of being and resolving structural consciousness anomalies. They are most effective when employed on our chakras, our spinning energy centers which lie all along the spinal column, in our bio-energetic human system, and function as transformers to convert the subtle cosmic frequencies into the gross bodily matter, and vice versa, in an exchange of energies and information. The method works by chromatic, vibratory frequency. Each chakra has its own speed of rotation, its vibratory frequency, and therefore a sound, and a color. Crystals remind us that to be in tune with our own energy frequency results in brilliance, harmony, and natural flow; our skills and talents are activated, and we are fully capable to manifest our best destiny and life, happily contributing to the universal ideal of co-creating our inner and outer reality. The complete learning of the crystals method comes about in three degrees of practice. In the first degree, we learn to know the crystals, how to clean, recharge and meditate with them. We learn to know the chakras, locate, perceive, and meditate in them. We‘re introduced to the synchronicity between crystals and chakras, and to the use of pendulum. We learn how to give ourselves a treatment, to give others a treatment, and sharing sensation, benefits, and experiences. The required time is usually of two full days, or four four-hour sessions and there are no prerequisites. In the second degree, we move deeply into the crystals, we come to know the different families, their specific qualities, character and functions. We move deeply into the chakras, into their different levels of manifestation and we learn about the subtle bodies, or auric layers, and the synchronicity between crystals and subtle bodies. We combine chakras, subtle bodies, and crystals, deepening our self-treatment and treatment session. The required time is usually of two full days, or four four-hour sessions and the prerequisite is the first degree of learning. 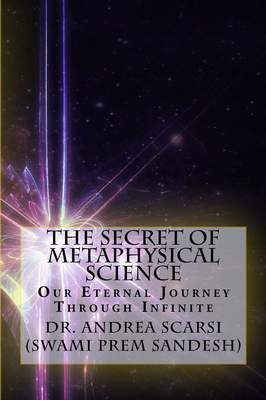 In the third Master, degree, we learn to use the laser crystals, to perform metaphysical surgery and distant treatment. We’re introduced to the crystals’ chemical components, their use in specific situations, and preparing crystal essences. We learn crystals reading and receive the crystal master activation. The required time is usually of two full days, or four four-hour sessions and the prerequisite is the second degree of learning.